Gnomes continue to earn approximately 22% less than the average Rensharian, and are far more likely to live in poverty. Poverty contributes to poor diet and malnutrition, leaving gnomes as the group with the highest number of health risks in the nation. Poor health and nutrition contribute to the diminutive stature that makes gnomes a target of bullying and intimidation. Even among people who consider themselves non-biased, gnome assault is commonplace. Social observational studies have shown that gnomes are far more likely to be “amiably” manhandled by their peers than other races. Gnomes are employed in less desirable fields, where they are subjected to humiliation, unethical working conditions, long hours, and menial tasks. Help spread awareness of the issue by joining the campaign! 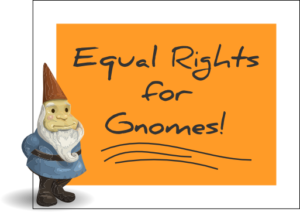 Make your own video or post about equal rights for gnomes and send us the link so we can share it! Always be aware of your own behavior when in the company of gnomes. Tell me your thoughts on the issue. How can we make sure that gnomes are treated equally? 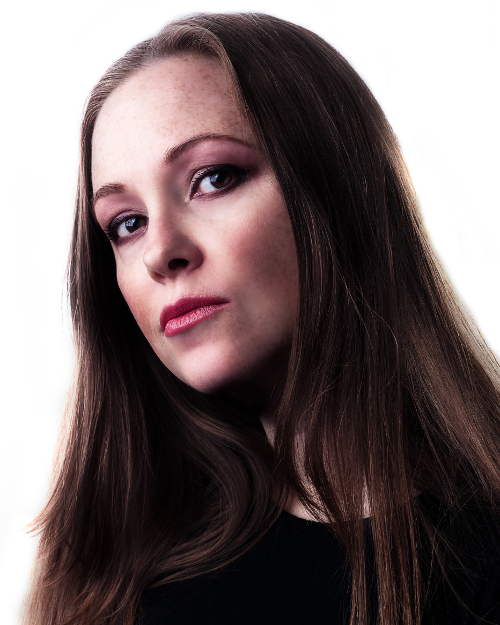 How can we get the word out? Have you ever had an experience when you inadvertently treated a gnome unfairly? Are you a gnome who has experienced social injustice? We want to know!